There are three main goals to achieve when treating GERD: symptom control, the healing of the damaged esophagus (reflux esophagitis) and prevention of complications like stricture (narrowing) and cancer. For the most part patient satisfaction is achieved by symptom control. First by lifestyle change: losing weight, eating small meals, avoid food which triggers heartburn, avoid bending, maintain good posture, no smoking, no alcohol, and the most important is to keep the head end of the bed elevated at night. Quite often patients treat themselves with the help of antacids. Antacids can be bought over-the-counter (Maalox, Diovol Tums, Rolaids and others). 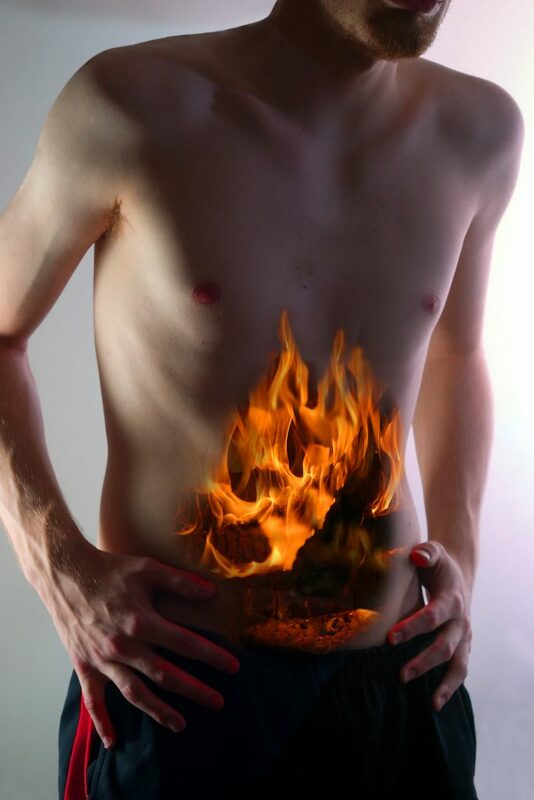 Antacids neutralize excess stomach acid to relieve heartburn. Some antacids also contain simethicone, an ingredient that helps eliminate excess gas. Antacids do not heal ulcers. They provide temporary symptomatic relief. Some antacids contain magnesium or sodium bicarbonate, ingredients that may have a laxative effect. Overuse of antacids can result in constipation, diarrhea, white or pale bowel movements and stomach cramps. The next line of treatment is the use of pills called histamine H2-blockers (Pepcid, Tagamet, Zantac 75, and Axid). Some of these are available over-the-counter. These medicines reduce the production of stomach acid; treat stomach or duodenal ulcers, esophagitis, and GERD. The side effects of histamine H2-blockers are not very common, but may cause confusion, chest tightness, bleeding, sore throat, fever, irregular heartbeat, weakness, and unusual fatigue. Other less serious side effects include headache, dizziness, and diarrhea, which are usually temporary and will likely go away on their own. Proton pump inhibitors (PPIs) are the most advanced level of medications so far for treating GERD. PPIs reduce release of stomach acid by blocking a membrane protein called a proton pump. PPIs available in Canada include: esomeprazole (Nexium), lansoprazole (Prevacid), omeprazole (Losec), pantoprazole (Pantoloc), rabeprazole (Pariet). PPIs can provide resolution of heartburn. PPI does not fix the primary problem which is the incompetent valve at the junction of the stomach and esophagus. So, you have to take the pills on a regular basis to relieve the symptoms. The typical side effects of PPIs may include abdominal pain, nausea, diarrhea, headache, dizziness, and itching. PPIs have the potential to interact with some other medications. If you are taking medications other than a PPI, be sure that your doctor and pharmacist are aware. If you are not responding to the above medications then your doctor may decide to add a promotility agent (prokinetic drugs). Promotility drugs enhance the emptying of the stomach and/or gut and enhance the contractions/co-ordination of the gut. It will make you pass lot of gas. Make sure you look over your shoulder before you let it out. You don’t want your mother-in-law behind you. If your wife is behind you then you are dead. Commonly used promotility drugs are: domperidone (Motilium), metoclopromide (Reglan, Maxeran). These pills block the dopamine receptors in the brain and the stomach. Blocking dopamine can also have an effect on increased prolactin secretions. Prolactin is a hormone which increases milk supply in the breasts – milk leakage (galactorrhea), may be a problem. Other side effects of promotility drugs are bothersome central nervous system side effects – depression, an overall feeling of restlessness, restless legs (akathisia), tremors and rigidity (Parkinsonism), and insomnia. One very serious side effect is called tardive dyskinesia (tardive meaning late onset, and dyskinesia meaning abnormal muscle movements). If none of the above treatment works for you or you have complications related to esophagitis then surgery is an option. Stay tuned. Balancing risks and benefits of using heartburn and peptic ulcer disease pills in seniors.May 14, 2018In "Medicine Hat News"
Previous PostPrevious What are the Long Term Consequences of Untreated Heartburn?